This post is part of a virtual book tour organized by Goddess Fish Promotions. Yvonne will be awarding a $20 Amazon or B/N GC to a randomly drawn winner via rafflecopter during the tour. Click on the tour banner to see the other stops on the tour. Nicolina Fabiani and David Baron team up once again to save Jerusalem from itself. Now David is faced with an impossible choice. Duty on the one hand, love on the other. What choice will he make? In the Eternal struggle for Palestine, David wages war, and Lina the journalist, covers it. With his arms and legs secured to a metal chair, he was at the mercy of his captors and they were not in a benign mood. A soldier on either side, dressed in army fatigues untied him, then dragged him down a flight of stairs and along a long narrow tunnel. Into a corridor painted green with low iron doors on either side. Solid bolts securing them shut. 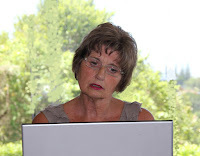 I am a successful writer who enjoys writing provocative mystery/thriller novels including the popular Nicolina Fabiani series. Living in New Zealand, which is about as far away from the world's hubs as one can get, I love travelling to places to find ideas and characters for my novels. Please open your minds and hearts to events we don't understand and are currently overwhelming us. 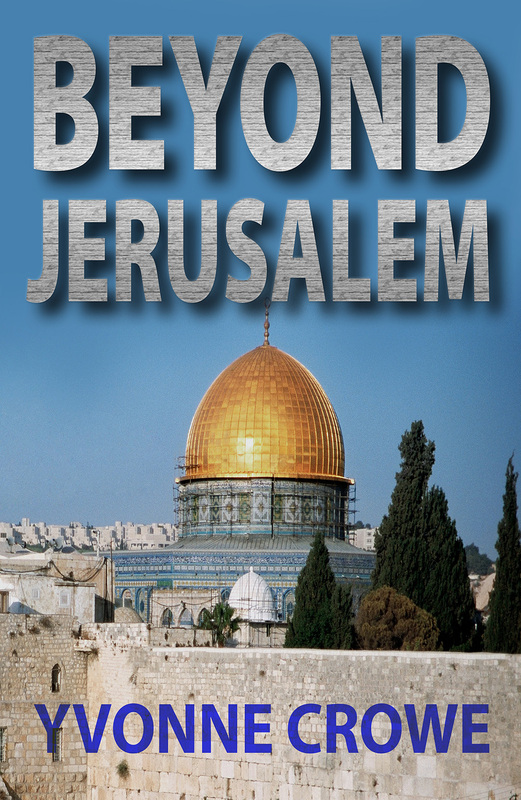 Check out my latest topical novel: Beyond Jerusalem. HELP SOMEONE WITH CANCER. Check out my story of how I beat this dreadful disease which kills hundreds of thousands of women worldwide every year. I had a run in with Stage 4 breast cancer, but chose to treat this successfully with a natural therapy. No surgery and no chemotherapy. I have been cancer free now for five years. Many thanks for sharing your blog. I'm getting the chance to live the dream. Wow Nikolina that is so cool. I came across the heroine's name in an article, loved it, went with it. I will be unable to comment for the next 8 hours as I will be in the land of Nod. Time difference between your world and mine. Thank goodness for the virtual world where we can all come together. This post is part of a virtual book tour organized by Goddess Fish Promotions. Michael Jordan will be awarding a $50 Amazon/BN GC to a randomly drawn winner. Click on the tour banner to see the other stops on the tour. What are some great books you’ve read recently? Many readers have requested one, and my wife wants a sequel, so there will be a sequel! I have another courtroom thriller in mind and think that John Coleman, the protagonist in The Company of Demons, would be the one to tell it! It would be fun to see what other trouble John can get himself into—and, hopefully, out of! Before I begin the sequel, however, I’m going to complete a WWII thriller that I’m currently working on. As most of you know, I'm co-owner, along with Marianne Arkins, of Goddess Fish Promotions and Long and Short Reviews. These websites keep us both very busy. On the book tours that Goddess Fish Promotions organize, we ask that the hosts have their post up no later than 4 AM on their scheduled date. Because of that, we are up at 4 AM to check and make sure they are! Other than our early wake up call, I don't have a routine day. If my husband is working (he also owns a business), I wake him around 7. If not, I let him sleep :-) We breakfast and, after that, I have my morning chores - feeding cats, cleaning litter boxes (so much fun), feeding fish....and various and sundry other chores). This post is part of a virtual book tour organized by Goddess Fish Promotions. Eddie will be awarding a $20 Amazon or B/N GC to a randomly drawn winner via rafflecopter during the tour. Click on the tour banner to see the other stops on the tour. Also, download a free copy of Eddie's 2nd release: Gangster Turned Guru Presents: A Day In The Life with Coffee and Paradise. My world of dreams may seem like a nightmare to most, since my writing space is one of the last places you would want to find yourself. For over a decade I've resided behind the walls of one of the most notorious, violent federal prisons in America, United States Penitentiary Canaan.